Product code: 101250 Category: Fully Composite. 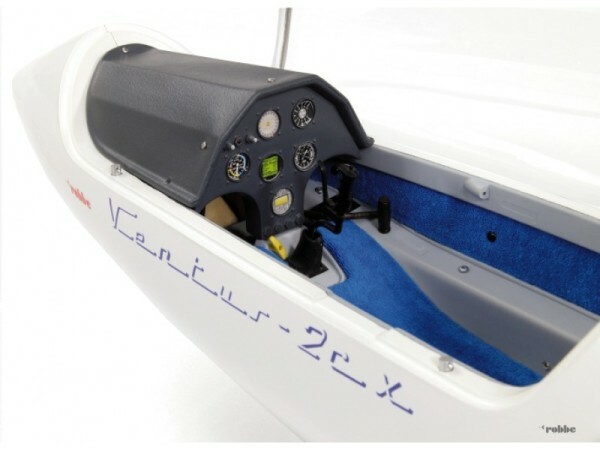 The Ventus is a high-performance single-seat glider which fulfils all the requirements of modern competitive flying. 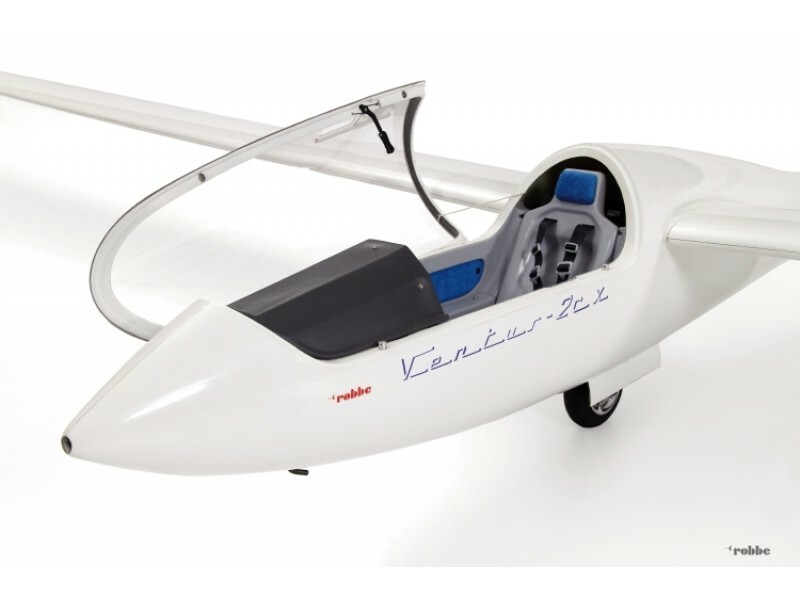 The Ventus 2cx is a high performance open class (18 m) glider; single-seat glider which fulfils all the requirements of modern competitive flying. A distinctive feature of the aircraft is the multiple sweepback of the wing leading edge. 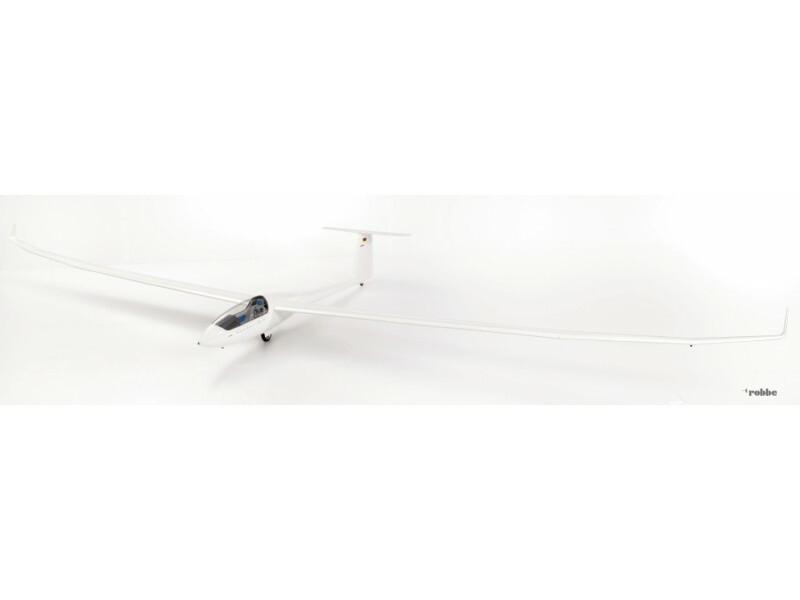 We are very proud to offer here a (1:3) super-scale reproduction of this very high performance glider. Like the original glider, the model provides an impressive combination of superb flying qualities and great appearance in the air. The model sets new standards in terms of detail, including a fully detailed cockpit. This glider comes completely built, and ready for radio installation. Only a few hours are required, before you go to the field. The model is supplied ready for the installation of the RC equipment. 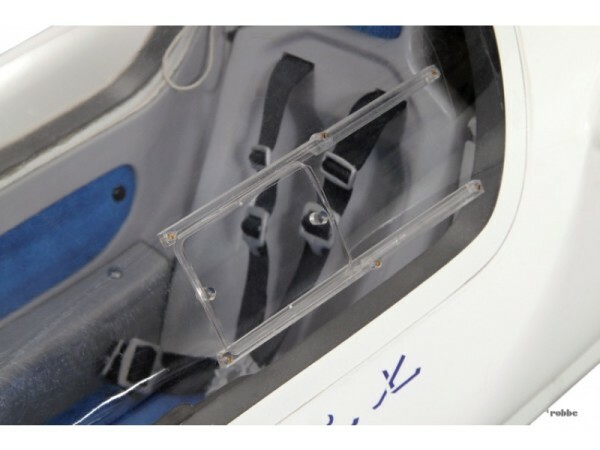 The retractable wheel is already installed in the CFRP / GRP fuselage, while the cockpit features additional details such as a sliding window and realistic instrument binnacle. All parts required to secure the wings and tailplane to the fuselage are already installed. The CFRP / GRP wing panels, complete with servo well covers and factory-fitted airbrakes, are strengthened with a carbon fibre main spar. Ailerons and flaps are hinged ready to hook up. 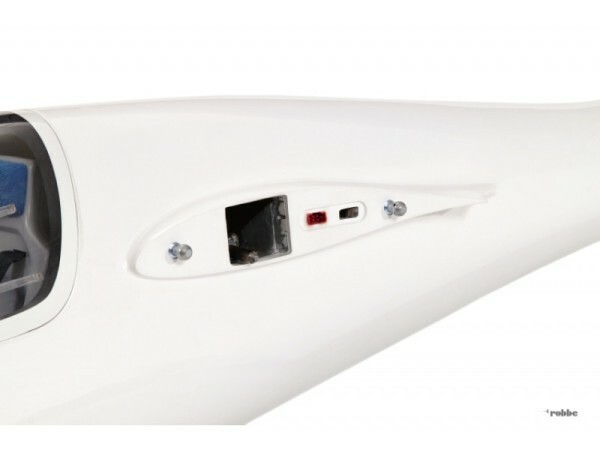 The high gloss, acryl painted Fiberglas fuselage has the wing joiner carrying tubes, the rudder and elevator installed. This 6 m span sailplane is a genuine all-rounder: just as happy when thermalling as in a high-speed pass. The wing features a unique wing planform with three polyhedral and winglets. In real life this is a 18M/15M race machine. The overall design is optimized for speed, L/D and performance. 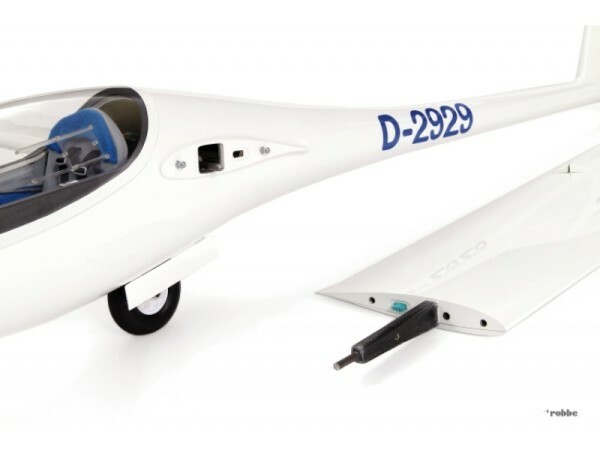 • Aero tow system: 1x standard servo. • Rudder: 1x standard servo. • Elevator: 1x standard servo. 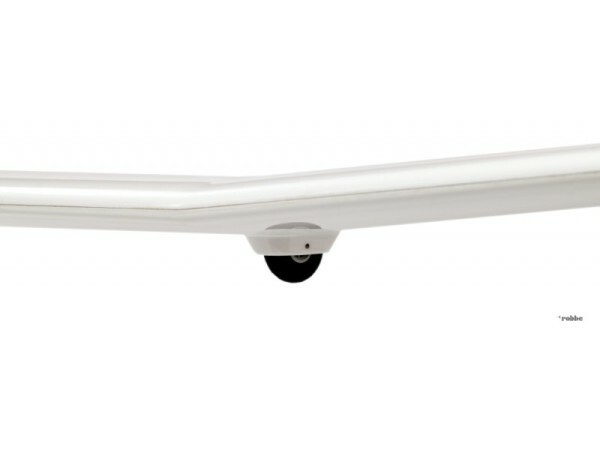 • Landing gear: 1x standard servo.